Edward Wade poses with his artwork. Artists converse with attendees about their work. 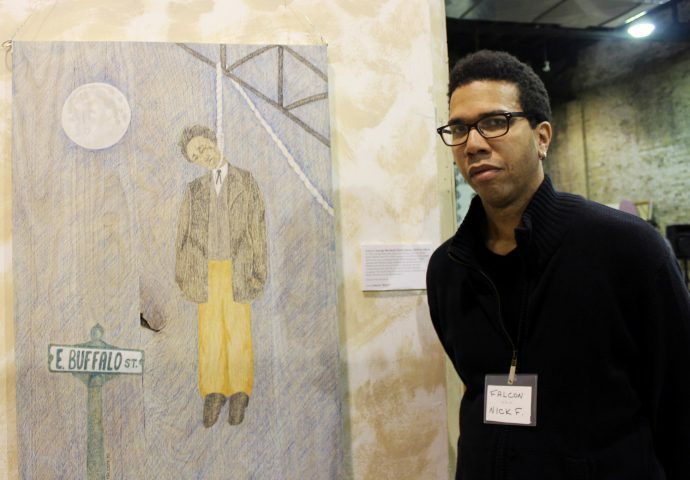 Artists Nick "Falcon" with his depiction if George Marshall Clark, the only African-American lynched in Milwaukee. A visitor observes a portrait in the gallery. 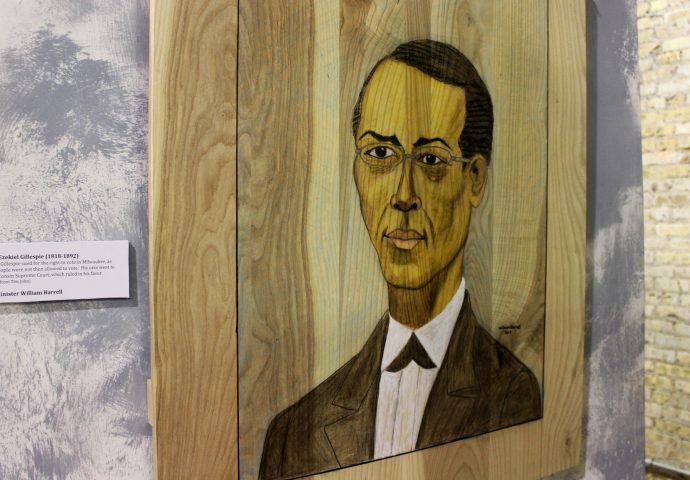 Artist William Harrell portrayed civil rights and community leader Ezekiel Gillespie, who successfully sued for his right to vote in the 1890s. 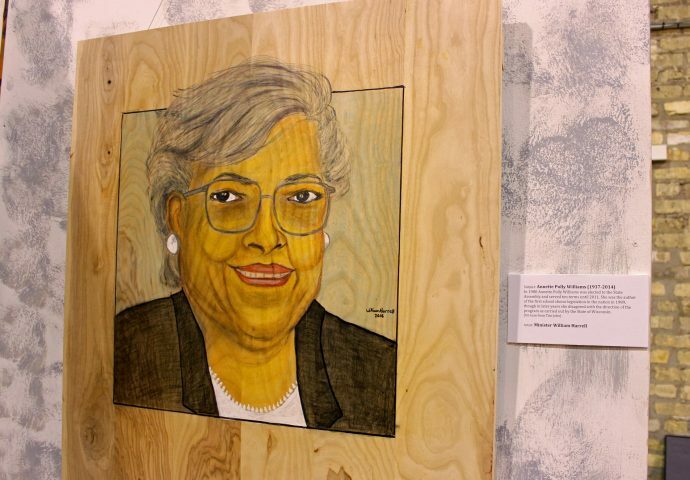 Annette Polly Williams, who was elected to the State Assembly in 1980 and served until 2011 is depicted in this work by William Harrell. Attendees study portraits in the gallery. 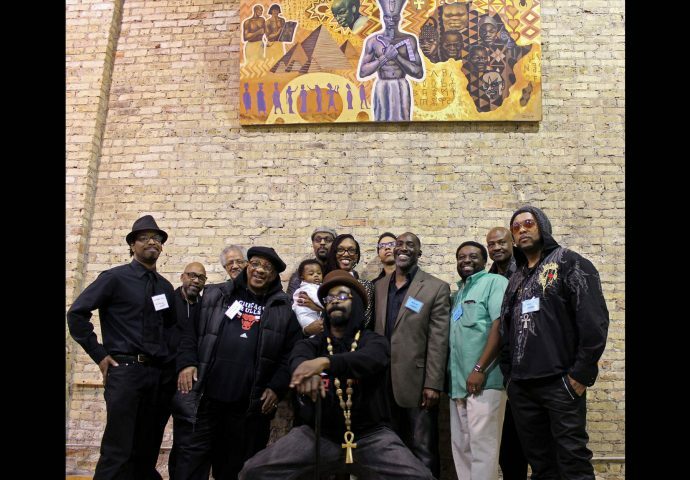 Featured Artists of the gallery pose for a group photo. 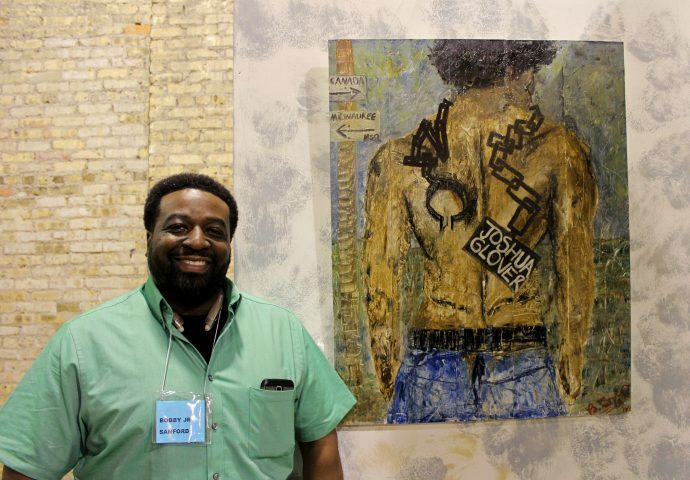 Artist Bobby Sanford Jr. painted Joshua Glover, who was jailed in Milwaukee for fleeing slavery. 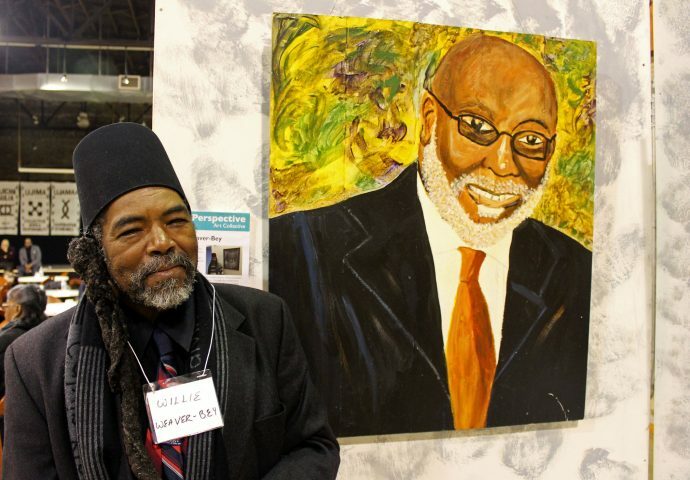 Artist Willie Weaver-Bey with his painting of radio broadcaster and community leader Eric Von. 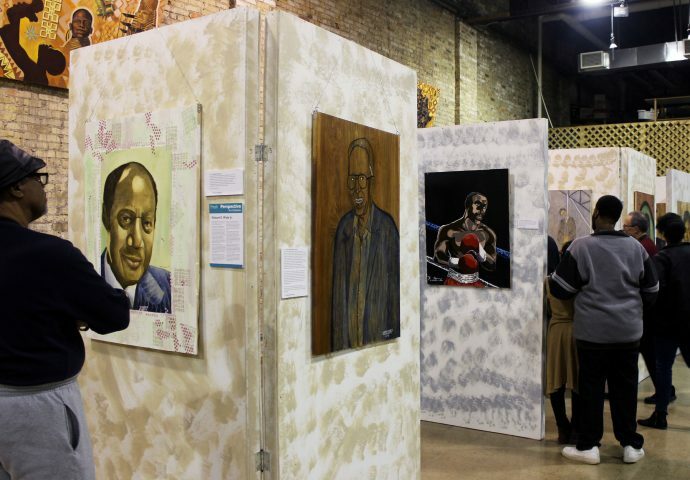 The Fresh Perspective Art Collective displayed its Urban Wood, Urban Heroes Gallery, last weekend, in which African-American artists used recycled wood from local ash wood trees as canvasses to portray prominent figures in Milwaukee’s history. 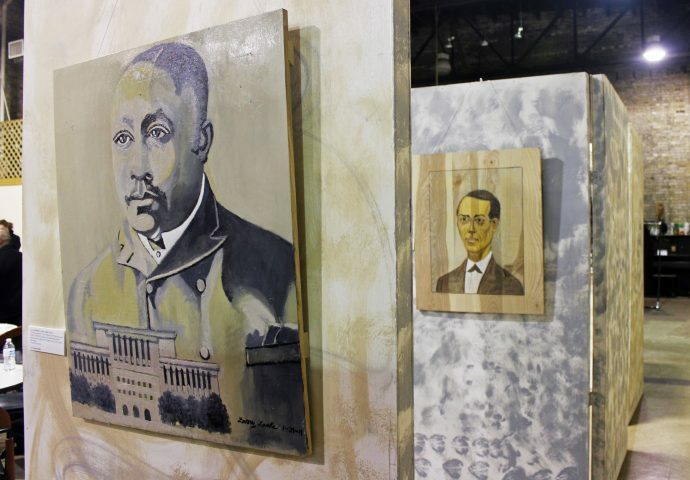 They include baseball great Hank Aaron; Ezekiel Gillespie, who successfully sued for his right to vote in the 1890s; and George Marshall Clark, the only African-American lynched in Milwaukee. 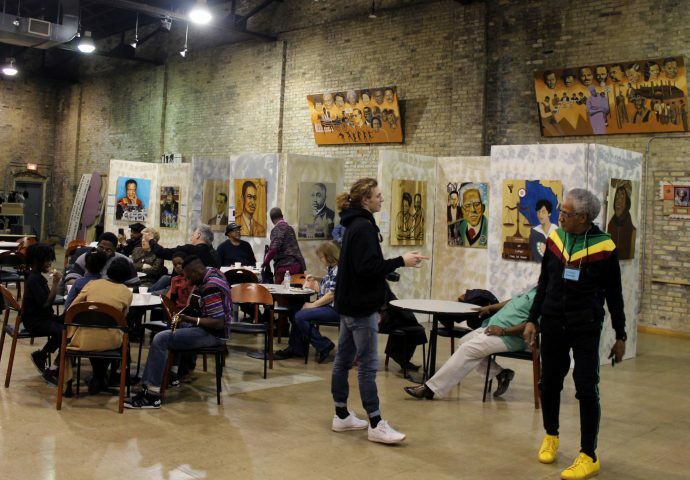 This was the second year of the gallery, which took place at the Wisconsin Black Historical Society, 2620 W. Center, and featured new and old artworks. 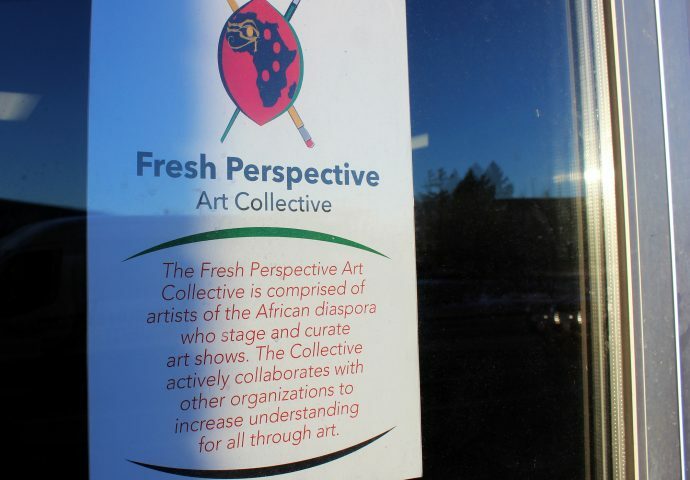 Wudeward Urban Forest provided ash wood lumber to the collective, a group of black professional artists who curate art shows to sell their work. 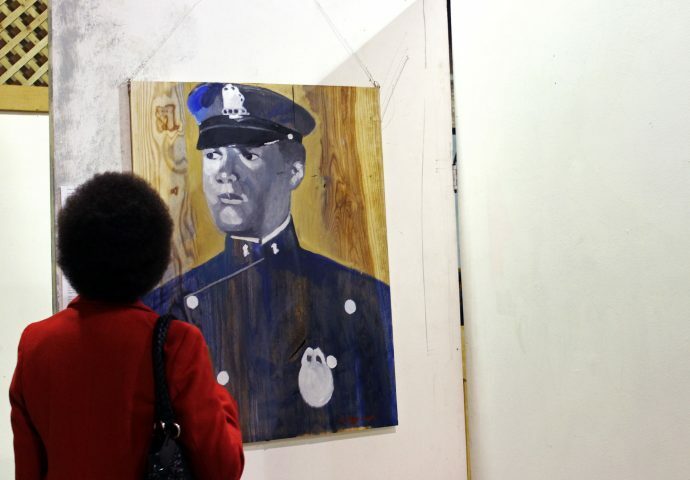 Willie Weaver-Bey, a participating artist, painted the late Eric Von, a broadcast journalist and host of a popular morning show on WNOV. Weaver-Bey served a 40-year prison sentence, where he taught himself how to draw and paint. 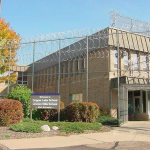 He says his experience in the prison system has inspired him to give back. 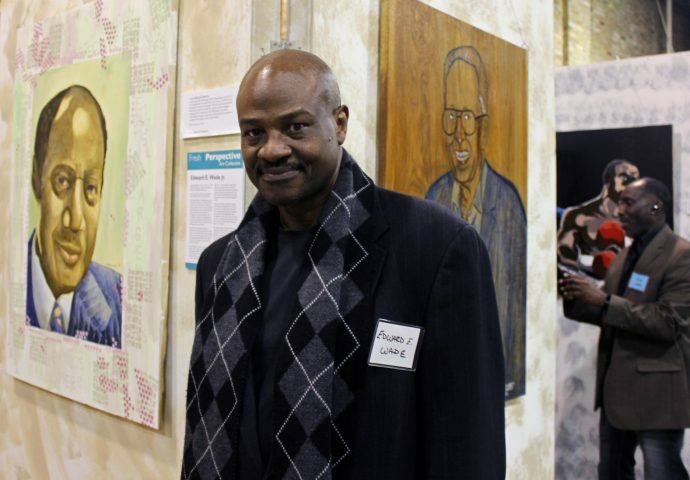 He hopes to intervene in the lives of at-risk youth to keep them out of the prison system, and art is his medium to do so. “Keep your ear to the ground and give back to the community,” said Weaver-Bey. Wudeward owner Dwayne Sperber is an advocate for the innovative use of “urban wood.” According to the company’s website, Sperber works to build awareness and markets for the abundance of wood being removed from municipalities due to insect, disease, storm damage or other reasons. The company recovers the wood to give it a second life as lumber, flooring, millwork and other innovative uses.